We start by looking at Selenium performance. Can we get our tests to run in less than four seconds? The answer appears to be “no.” Defeated, we work on porting our tests from PhantomJS to Selenium instead. 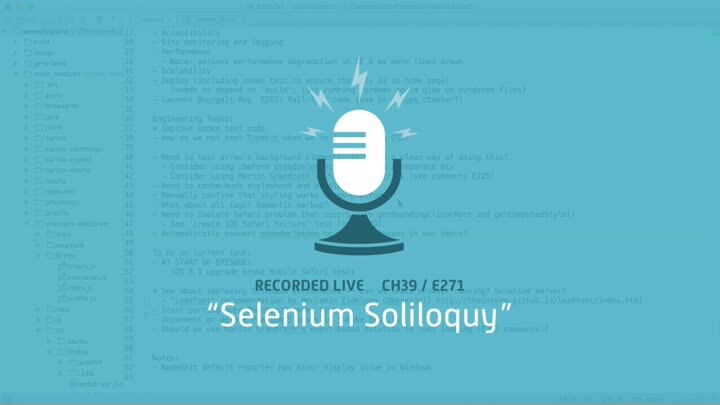 We review the Selenium API and get our first real Selenium test running.